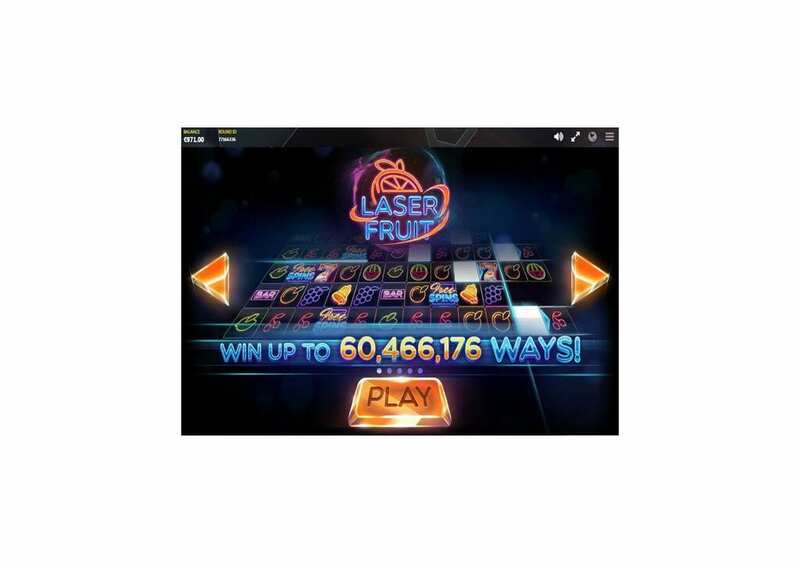 Laser Fruit is the new slot machine by Red Tiger Gaming that is going to offer you a great experience that gives you the best of both worlds. You will get to enjoy a fruit machine with fruit symbols, that is available to you in advanced visuals and modern gameplay options. 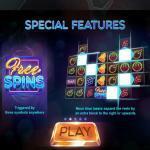 The slot has great visuals that will immerse and engage you in the theme. Laser Fruit also comes packing plenty of winning chances and bonus features that you can take advantage of during the gameplay. The slot machine offers a whole of 243 ways to win and multiple unique icons and elements that will make sure you get massive awards during your stay. 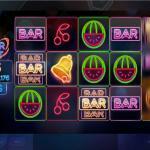 Laser Fruit is a free slot machine by Red Tiger Gaming, but it is not just another Red Tiger slot, as it has a unique theme with unique gameplay. The slot machine is a deviation from the usual slot machines that Red Tiger Gaming usually provides as it is a mega payline video slot machine with 243 ways to win, it has high win potential and is a highly volatile slot machine. 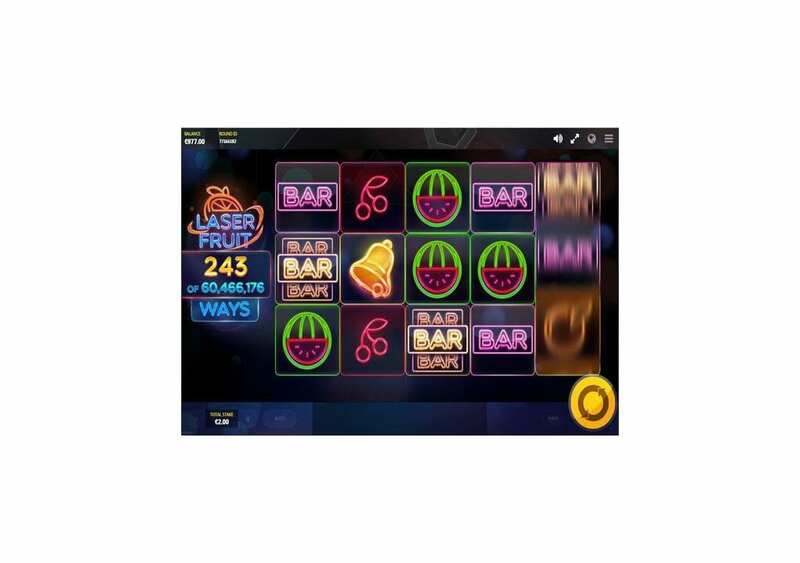 The online slot machine has a subtle disco theme with its bright and shiny laser lights, which might bring back memories of Net Entertainment’s slot machine Twin Spin. The music that you will listen to during the gameplay is laid back, but they are very distinct as the techno beat will immediately grab your attention, as it is very catchy. Laser Fruit is playable across a multitude of devices and operating systems including tablets, phones, and laptops. 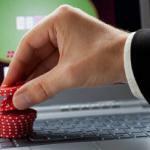 It also has an extensive stakes range that allows players with different gambling budgets to enjoy the slot. That stakes range is between 0.20 and 50 credits for every round of the slot machine. 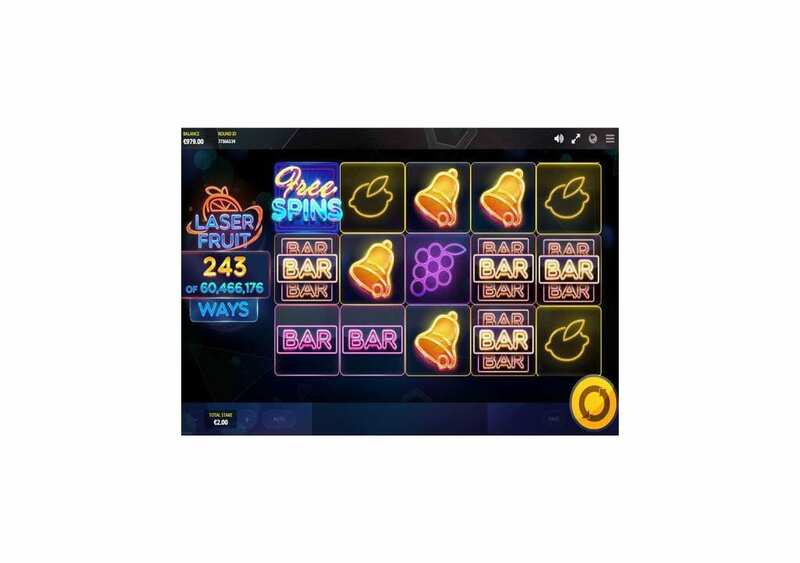 You can give Laser Fruit a few spins here for free with demo credits to see all that it has to offer you before you place real money stakes on the slot. Laser Fruit by Red Tiger Gaming has two themes mixed. The first one, which is clear from the title of the slot machine, is the fruit theme. 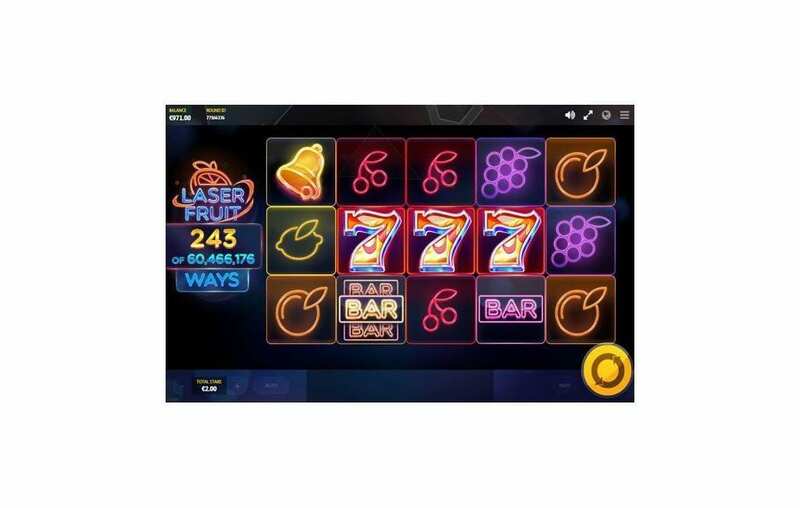 The online slot by Red Tiger Gaming invites you to enjoy a nostalgic experience that is all about fruits, which pays homage to classic machines that we all enjoyed at pubs and land-based casinos. Therefore, you will see a lot of fruit symbols appearing on the reels. The second theme, which is a subtle theme, it is all about disco. You will feel that theme from the bright and colorful laser lights and the techno music that plays in the background. So whenever you give the slot machine a few spins, you better be ready for an infusion theme that mixes classic fruit machines with discotheque music. 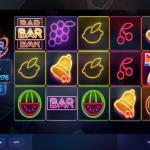 Laser Fruit has a five reel slot machine that comes packing 243 ways to win across its three rows of symbols. The visuals of the slot machine are colorful and bright to fit the theme of the game. 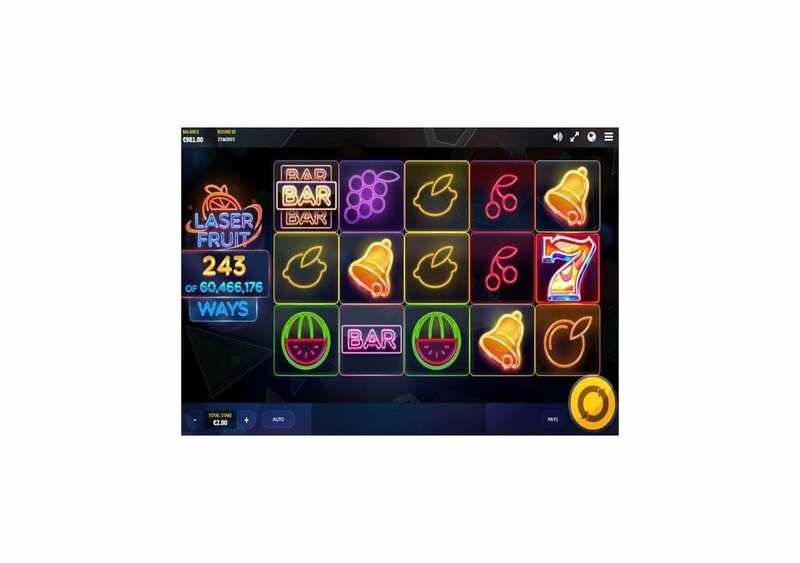 So as soon as you start spinning the reels of the slot machine, you will see symbols with laser light outlines spinning to provide you with an excellence visuals experience. The figures that are going to land on the reels, they include fruits like cherries, strawberries, watermelons, grapes and more. Other symbols include golden bells, bar icons and more. The control panel is underneath the reels; it is where you will control the gameplay and place your bets. 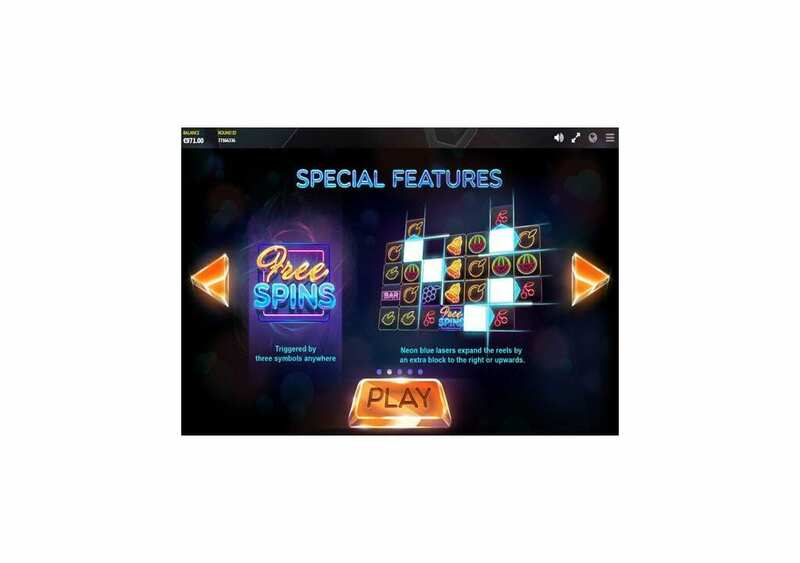 You will find the spin button to start the slot, the stake cell to determine the stake and the Pays button to view the different payouts that the slot title can offer you. Last but not least, there is the Auto button through which you can control the autoplay function of the online slot. 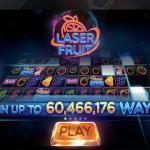 Laser Fruit has an RTP of 96.02%, which is a relatively high RTP amongst the other Red Tiger Gaming slots. 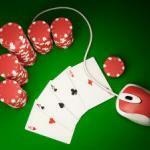 The online slot machine has a 243 ways to win format. 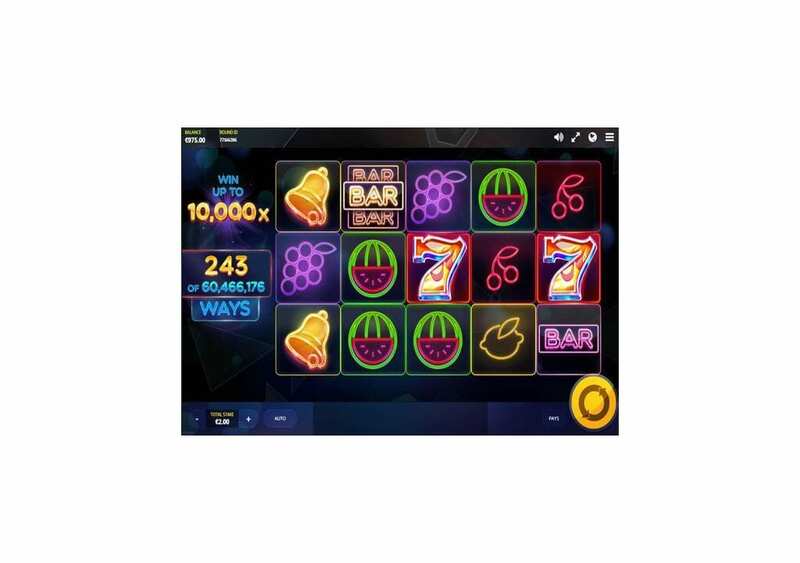 Through the unique features of the slot, you can play it with up to 60,466,176. Since the slot machine has the Ways to Win setup, it means that you will need to get matching symbols anywhere on the reels, as they do not have to be from left to right. You can also get winning combos that consist of 10 matching symbols, and not five symbols that most slot machine. The highest payout that you can claim is 25x the stake, which you can earn when you get 10x of the golden seven symbol. 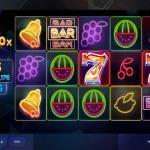 Laser Fruit is a high paying slot machine that has multiple features and winning chances. 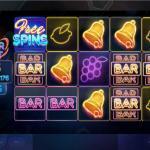 The slot title has a free spins round that you can trigger when you manage to get three of the Free Spin icons anywhere on the reels. There are also the laser neon lights that can expand the Reels by an extra block every time they become active. The extra block can be upwards or on the right.